Tax Tip #9: AKA Love Potion #9! Spring is just around the corner oh faithful blog readers! Although for us Montrealers, it doesn’t exactly look the part. More like the deepest, darkest corner of the Arctic. But I digress. This week’s blog post will focus on the fact that before you know it, the snow will melt, birds will be chirping, love and growth and freshness and all that fluffy pollen stuff will be floating in the air and you can make the LIFE-CHANGING decision about whether to file your taxes as single, common-law or married! My tax tip, therefore, is this: Don’t mess with that little check box on your tax return that records your marital status at our respective governments (what we in the industry refer to as “The System”). If you’ve been living with someone (at the same address of course) for over a year, it’s important that you file as common-law. If you’re married, file as married. Etcetera, etcetera. On that note, please enjoy your first week of Spring and come back to visit us next week for more cute pics and more stress-reducing, cash-saving ideas from your friendly neighbourhood Funny Accountant. Photo creds to Melanie Schwam Photography! 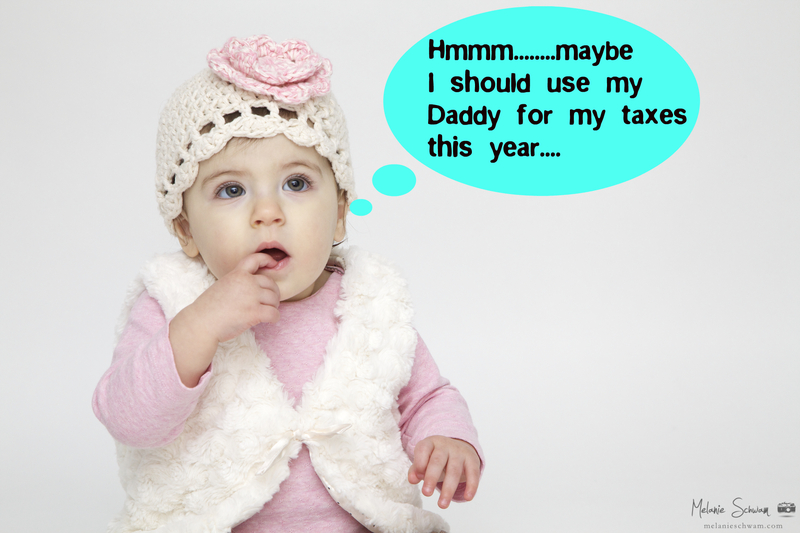 Next Post Tax Tip #10: Children – How They Enrich Our Lives….And Our Tax Credits!